The standard internal hard drive in PlayStation 4 (PS4 Slim) usually comes with a 500 GB limited capacity which is not deemed suitable for many enthusiasts who are fond of downloading and playing lots of games every month, let alone UHD movies. This consequently results in the hard drive running out of capacity which will prevent from adding any new game/movie without sacrificing some of them. When titles like Killzone: Shadow Fall can take up as much as 50GB of space, you start to realize that upgrading your PS4 Slim internal hard drive sooner than later may seem like a good idea. 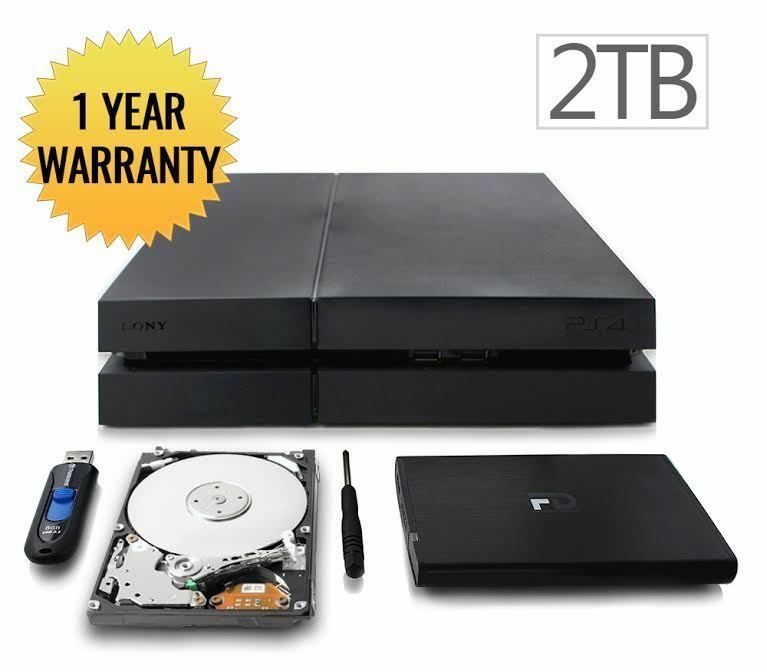 Upgrading PS4 Slim hard drive to a 2TB storage capacity has been the most common trend among PS4 Slim power users who don’t believe that all their data must be kept internally on PS4 Slim storage device. You can go with the FULL PS4 Slim HDD upgrade bundle that includes everything you need for a seamless upgrade process, from a replacement hard drive to a screwdriver. Or, if you are fine with a bare drive without any additional tools, you can make it your choice. If you’re interested in this storage size for your PS4 Slim, we recommend that you view this great article that elaborates on this topic with very useful information and tips. The items in this section are solely hard drives with 2TB storage capacity without any addition included. You’ll need, alongside with the hard drive, a PS4 Slim-compatible screwdriver and a good USB 3.0 Flash drive, then follow the instructions outlined in the last section of this guide. 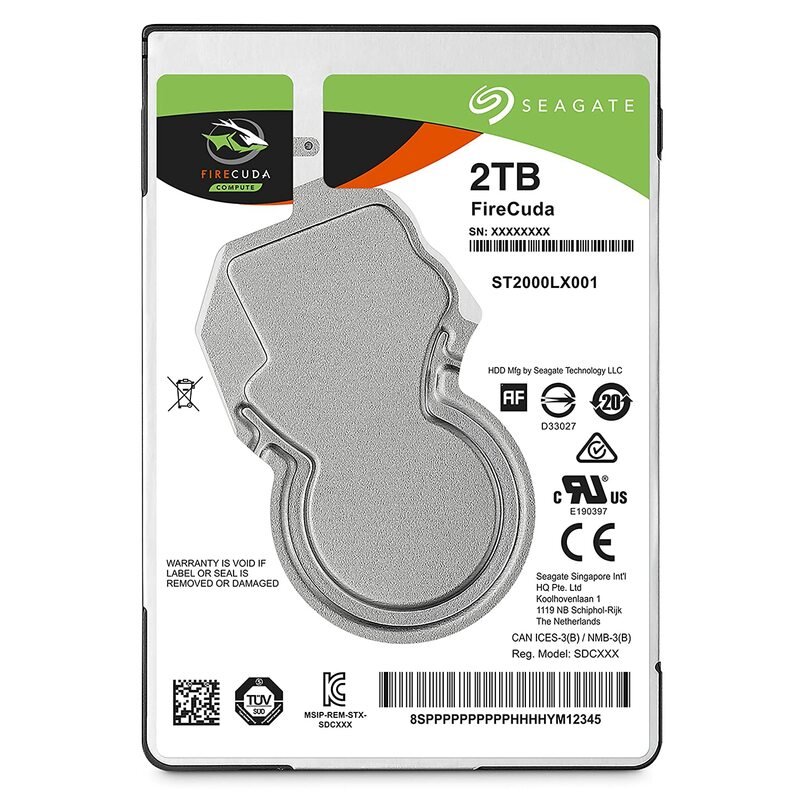 Finally the long-waited Seagate FireCuda [ST2000LX001] is here in 2TB storage capacity and 2.5-inch form factor alongside with a thickness of 7mm that fits precisely into PS4 Slim drive bay. Although this drive is classified as an SSHD (hybrid hard drive) and not a mere HDD, we couldn’t overlook it in our recommendation list, as this is the ultimate best PS4 Slim storage upgrade you can ever go for. It has all the features of Seagate Barracuda [ST2000LM015], which is the fastest 2.5-inch HDD (listed below), with an additional 2nd-tier 8GB SSD cache memory for a better performance. Seagate’s newest Barracuda HDD [ST2000LM015], which’s the successor of Seagate Mobile HDD [ST2000LM007], provides 2TB of storage in a 7mm form factor, but without data encryption feature, which is not really needed in PS4 Slim systems, and is supposed to increase the overall performance of the drive. It comes with a huge 128MB cache memory and 5400RMP spindle speed. Seagate’s newest Mobile HDD [ST2000LM007], was introduced as the successor to Samsung/Seagate SpinPoint M9T HDD, offering better performance and consistent reliability with a built-in data encryption feature. 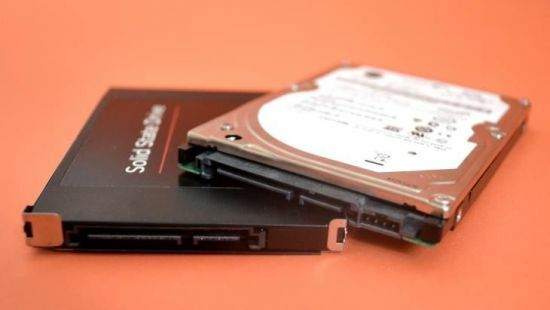 During a time when SSD innovation leads the market for this form factor, this drive holds unique appeal for users who want to upgrade their laptop storage without switching over. The bundles presented in this section include everything you want to upgrade PS4 Slim hard drive seamlessly. All of them include a USB flash memory, a screwdriver, an external hard drive enclosure and surely the 2TB hard drive, which is Samsung SpinPoint M9T. This upgrade kit provides all the essentials you need on how to backup files, installing the new components, and re-using the original hard drive by converting your PlayStation 4’s original drive into a new external portable drive with the included Fantom Drives G-Force portable USB 3.0 aluminum enclosure. It also includes a quick start installation guide that provides everything from preparing, removing, installing, and updating your PlayStation 4 to NEXT level of gaming. Storite World’s DIY kit comes with a bevy of goodies to make upgrading PS4 Slim hard drive as seamless a process as possible. That means it comes with a 2.5” SATA hard drive enclosure, an 8GB USB 2.0/3.0 thumb drive, a USB 3.0 double-shielded connecting cable, and a 2TB Samsung SpinPoint M9T hard drive. It even comes with a Phillips #1 Screwdriver and a carrying sleeve for storing your old drive safely. This is a good alternative to the above item. It features exactly the same package but with a little increment in price. Just in case the first option becomes unavailable, you can go for this one. 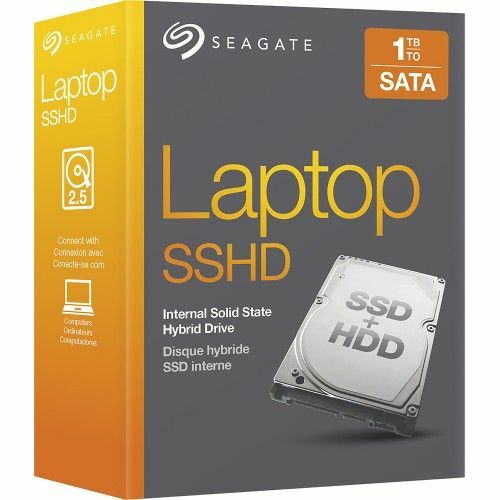 As far as the 1TB hard drive capacity is concerned, there are a few options available in this space, one of them is a solid state hybrid hard drive (SSHD), which combines between the blazing-fast technology of solid state drives (SSD) and the plentiful storage capacity of mechanical hard drives (HDD), to features eventually a good compromise between performance, capacity and price. We strongly recommend it if you want to go with a 1TB hard drive upgrade for your PS4 Slim. Travelstar 7K1000 is the industry’s only seventh-generation 7200 RPM mobile hard drive and ideally suited for notebook PC upgrades and portable, high-capacity personal storage products. At 500GB/platter, this 2.5-inch hard drive offers a 1TB capacity and leverages Advanced Format, which increased the physical sector size from 512 bytes to 4,096 (4K) bytes to improve drive capacities and error correction capabilities. The drive below is a decent option for those who want the cheapest 1TB hard drive for PS4 Slim that comes with an adequate quality. It’s worth to note that this drive has only 16MB cache memory, whereas HGST Travelstar is configured with 32MB and Seagate SSHD with 64MB. More the cache memory better the performance. Built to WD’s highest standards of quality and reliability, WD Blue offers the features and entry-level capacities that are ideal for your computing needs. WD Blue is designed by the brand that you trust with the quality you would expect for a tested, proven, everyday storage solution. Note that the cache memory of this drive is 16MB NOT 8MB as mistakenly advertised on Amazon. Solid State Hybrid Hard Drive (SSHD), which features a compromise between the speed of SSD and the huge and cheap storage capacity of HDD. We have discussed all these three options in this guide in some detail that will help you make a quick decision on what suits you best. But here, in this section, we’ll address the best brands available for the first category only, because we think that a storage upgrade for PS4 Slim should not be other than a hard drive, and we have our valid reasons for that which we have outlined in our different guides on this matter, including this one. What’s the best hard drive brand for PS4 Slim? 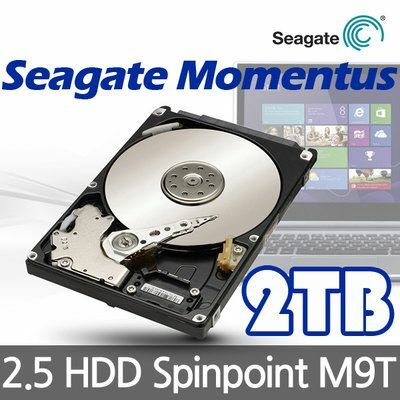 Just until recently, Samsung SpinPoint M9T hard drive [ST2000LM003] was the best hard drive option for PS4 Slim in terms of capacity (2TB) and price. But now we have picked the newest and highly improved Seagate 2TB Barracuda [ST2000LM015] to be the best PS4 Slim replacement hard drive since October 2016. It’s the successor of what was known as the “fastest laptop hard drive”—Seagate’s Mobile HDD [ST2000LM007], and that intuitively means it’s more improved. Unlike its predecessor, it doesn’t provide data encryption (which is not needed in PS4 Slim systems anyway), and that’s supposed to have a good impact on the overall performance of the drive. It comes with a very reasonable and affordable price (less than $100) as of the time of writing. For more information on Seagate 2TB Barracuda [ST2000LM015], click here to view the product page on Amazon. IMPORTANT UPDATE: Seagate has finally released its long-waited solid state hybrid hard drive (SSHD) in 2.5-inch form factor and 7mm thickness, which makes it the best PS4 Slim storage solution among all options. 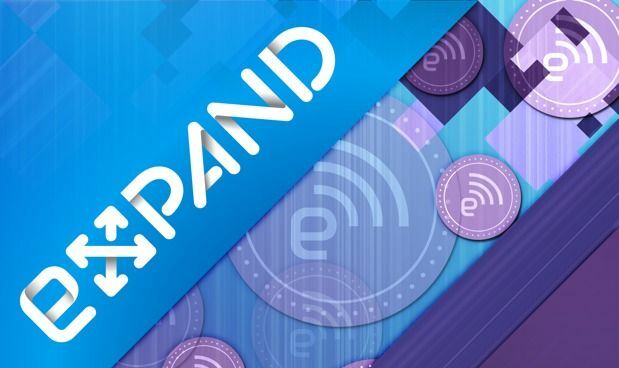 The main advantage of this type of storage devices is that it uses a 2nd-tier SSD cache memory, which has proven to boost the overall system performance remarkably. I strongly recommend it if you’re ready to be additional $20 for it. We’ve already briefly addressed the available options to expand the storage capacity of PS4 Slim console in our PS4 Slim External HDD Guide. Here we’ll dive into more details about this issue to give you a clearer picture about what best suit your needs and conditions. There are basically only two methods/procedures you can carry out in order to give your PS4 Slim more storage capability, and other suggested methods are just subsumed under these two big titles. Upgrade the current PS4 Slim internal hard drive to a bigger one. 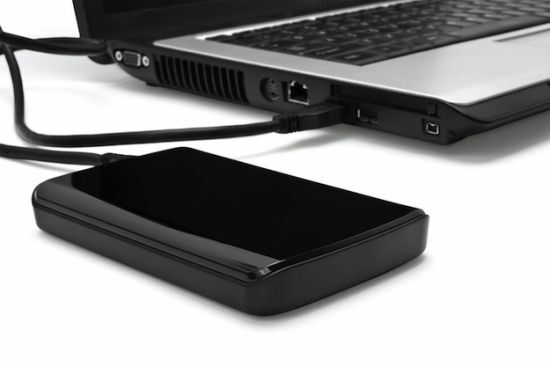 Get an external storage device as a storage expansion to the internal drive. 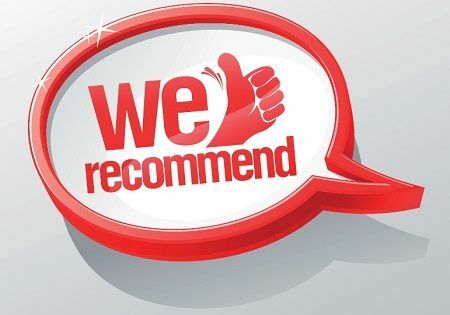 Each particular method has its own advantages and disadvantages which we will thoroughly discuss within the lines of this article. This is the most preferred method for PS4 Slim fanboys who need more storage space inside their PS4 Slim box for the heaps of games they downloaded and want them often accessible on the fly. Make sure to read also our post on the best PS4 Slim hard drive in order to get a good drive for your PS4 Slim storage upgrade process. This method benefits mostly from the fact that PS4 Slim console critically requires that any game you need to play MUST be installed/stored on the internal hard drive of PS4 Slim in order to give the operating system a full control over it. It keeps all files within the PS4 Slim operating system which makes them more accessible and easier to run/launch. That’s because PS4 Slim needs to render files first before launching, and if the file is not stored within the operating system, it will not run at all. If you use the extra space for backup/archive, and unlike external storage solution, you don’t need to wait about 15 or more minutes for a 50gb game file to transfer and be ready for installation/playing. This, for many, is a frustrating moment, especially if the file you specify is important and you cannot wait for it. It doesn’t engage any extra space outside the box, which will benefit mostly those who have limited room for PS4 Slim box. It’s a more tidy option because it keeps everything organized in one place without adding any extra visible peripheral/gadget which looks somewhat messy. You don’t have to take care of two storage devices (the internal and external). It’s just one device that you have to focus on. The new internal hard drive upgrade procedure for PS4 Slim takes a much longer time than just hooking an external hard drive directly to your PS4 Slim USB port in a minute. It can literally take a few hours in case your old hard drive is full or close-to-be, because you need then to transfer all the old hard drive content to the new drive. It happens that sometimes the transfer process will not go flawlessly and seamlessly, and errors my occur, which will compel you to reinstall/repair the PS4 Slim operating system, which is an extra work and effort. Mostly, if you do a simple calculation and gauge your needs you’ll conclude that, in all cases, you need an external storage solution in order to take a backup of all your files for the sake of precaution. Yes, you can make your old internal hard drive an external storage device for that purpose using a USB 3.0 hard drive enclosure, but then think about it—do you really need the heaps of your files always accessible on your internal hard drive or you can save most of them externally until later? This all depends on your preference and needs. You may want more elaboration on this topic, therefore we suggest you read our PS4 Slim External Hard Drive guide. The largest internal hard drive capacity for PS4 Slim doesn’t exceed the 2TB limit that may not satisfy the greed of extreme enthusiasts. There’s a workaround though on this problem that allows you to upgrade the PS4 Slim hard drive to 4TB using a special PS4 Slim accessory. [Click here for more details]. With this method you have the chance to add up to 8TB or even 10TB of external storage capacity to expand the capability of PS4 Slim. This is preferred to many users who don’t want to go through the mess and hassle of upgrading the internal hard drive of their PS4 Slim. Although we’ve already discussed this issue in detail in our PS4 Slim External Hard Drive Guide, and manifested the available varied options in the external storage space, we would quickly lay out the major advantages and disadvantages of this method. Quick and easy setup and installation that just takes around 1 minute and doesn’t require all the complications of internal hard drive upgrade procedure. Helps you to dispense with upgrading your internal hard drive where you keep the frequently used files and save the rest externally. Can be used for other purposes than just saving PS4 Slim files (i.e. storing files from other devices like PC) and that makes it a more flexible storage option. Being portable gives you the ability to share the stored files with family and friends on different PS4 Slim console or just other computers. Unlike xbox, PS4 Slim doesn’t allow you to run/play the game/movie on an external hard drive. You have rather to transfer the whole file to the internal drive and install/store it to allow the operating system to render it. Then, and only then, you can play that particular game/movie. Takes additional room outside the PS4 Slim box which may not suit some users. Being a removable device that connects externally makes it vulnerable to theft or loss, especially if you choose a portable model. This is the very best internal hard drive upgrade for PS4 Slim as of today. It’s a hybrid hard drive that comes with 128MB of buffer cache and 8GB of NAND memory, making this drive multiple times more speedy than a regular hard drive. If you are serious about the speed of your PS4 Slim internal hard drive, this one should be on the top of your list. It’s configured with SATA III interface and comes in 2.5″ form factor. This drive is just the same as the above one but without the NAND memory addition. It’s merely a classical mechanical hard drive. If you want that type of drives for your PS4 Slim, this is the best choice to take. This drive is an older version of the Barracuda HDD. Don’t expect it to perform better, but you can get the advantage of the lower price and keep what you save to buy other accessories for your PS4 Slim console. Since 2013, this drive has been the best hard drive upgrade for PS4 Slim until Seagate started releasing more successors to it. We don’t advise to go for it unless your budget is too limited. It’s still a good hard drive though for PS4 Slim. There are other options than a mechanical hard drive that may intrigue you, and have been adopted by a wide variety of PS4 Slim users. 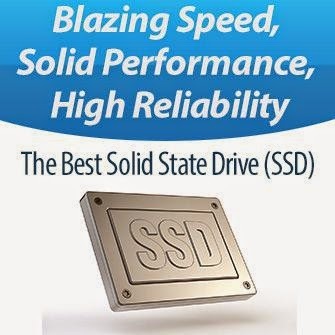 They are: A Solid State Drive (SSD) and a Solid State Hybrid Hard Drive (SSHD). We will not be delving into deep details about these two technologies, but rather we’ll learn the essential basics about them for the sake of education. Is SSD recommended for PS4 Slim? Honestly I would say NO. Although it has been reported that you’ll gain only 34% of speed when using an SSD inside PS4 Slim, especially in online gaming, this small gain of speed doesn’t justify the steep price of SSDs. (e.g. 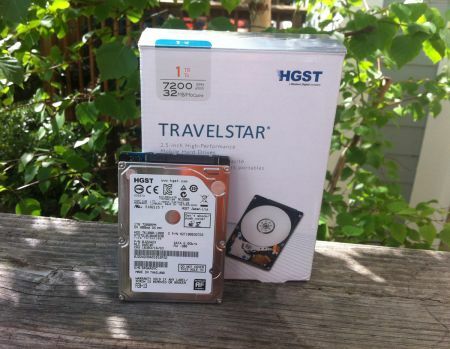 as of the time of writing, a 1TB SSD costs almost $350 whereas a 1TB laptop HDD costs almost $70). I can’t find better than Wikipedia to explain what an SSHD is. So here’s a quote from their article on SSHD. In computing, a hybrid drive (also known by the initialism SSHD) is a logical or physical storage device that combines NAND flash solid-state drive (SSD) with hard disk drive (HDD) technology, with the intent of adding some of the speed of SSDs to the cost-effective storage capacity of traditional HDDs. The purpose of the SSD in a hybrid drive is to act as a cache for the data stored on the HDD, improving the overall performance by keeping copies of the most frequently used data on the SSD. Is SSHD recommended for PS4 Slim? It doesn’t take a college math professor to understand that you’re looking at around less than a dozen AAA game installs before you fill up your stock drive. Not to mention the smaller digital titles, patches, apps, and DLC content that will also take up some storage space. In order to work around this trouble the best solution you have in hand is to replace the current standard hard drive that comes with PS4 Slim once you first bought it with a larger and faster one to guarantee the peak performance of your new hard drive with a much sufficient capacity that can serve you a few more years. Unfortunately the PS4 Slim doesn’t have the same external hard drive options like Xbox One, although you can add one for backup/archive purpose only. [For more details on this issue, check our PS4 Slim external hard drive (HDD) guide] Fortunately you have the ability to swap out the internal hard drive for another, making one of our internal hard drive picks for PS4 Slim a wise upgrade if you think 500GB won’t cut it down the road—and trust us, it probably won’t! Especially with such a huge list of RPGs and incredible first-person shooters coming to PS4 Slim so soon. A PS4 Slim system only accepts a 2.5-inch hard drive replacement and this is something that may limit the potentiality of expanding the storage capacity to more than 2TB, taking into consideration that the largest 2.5-inch hard drive available on the market that fits into PS4 Slim drive bay (i.e. not more than 9.5mm thick) comes in 2TB capacity only, whereas 3.5-inch hard drive already hit the 8TB limit and soon will reach 10TB. 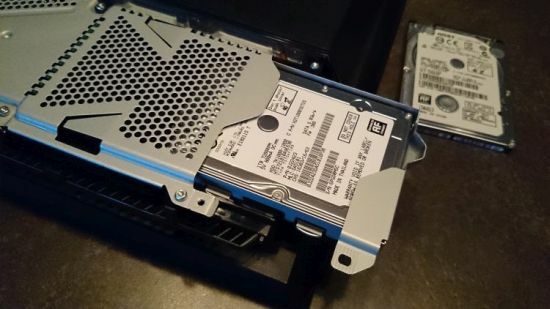 You may want to add a larger internal hard drive capacity to your PS4 Slim, this is possible using a special gadget. 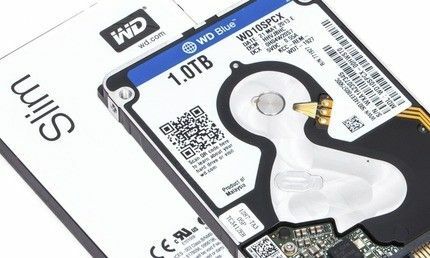 [Read this article for more details] So it’s best to invest in one of these hard drives for PS4 Slim now, especially a 2TB hard drive for adequate storage. This will save yourself the trouble of having to re-download everything again later. For the overwhelming majority of PS4 Slim users, a 2TB of hard drive capacity is pretty much enough, at least for their current requirements and the near future (say 2-3 years in my estimation). As for the minority of exceptional extraordinary users, I’m sorry to disappoint them and say that there’s currently no special solution that can meet their insatiable needs, so either they join the majority and settle for what they can afford or just keep swimming against the tides with no avail. On the other hand, a 1TB hard drive for PS4 Slim seems though to be currently the most popular PS4 Slim hard drive upgrade but we strongly recommend the 2TB HDD capacity for the sake of precaution if you download and play lots of games. Not higher than 9.5mm according to PS4 Slim standards. Not less than 5400 RPM. All 2TB hard drives in our list spin at this speed only, whereas there is, on our list, only one 1TB 2.5-inch hard drive that spins at 7200RPM, which is: HGST Travelstar 7K1000. Taking into consideration the above standards, there are not many compatible hard drives with PS4 Slim, especially in the 2TB capacity. Most compatible hard drives are either 1TB or 500GB or even less. Try to visit our best hard drive for PS4 Slim post to read about our top selection of hard drives for PS4 Slim in some details. In the chart below we have picked 5 drives that we found to be the best hard drives for PS4 Slim in 2.5-inch form factor, in terms of compatibility and performance. Two of them is a 2TB capacity, while the rest four are 1TB. PS4 Slim makes upgrading the internal hard drive an easy procedure. We’ll not discuss it theoretically here, rather I prefer that you watch the following how-to video. You can find more details and information on upgrading your PS4 Slim hard drive on PS4 Slim official website on this page. At the end of the day, upgrading the internal hard drive of PS4 Slim is obligatory to enthusiasts who don’t settle for the limited capacity of the stock drive and have piles of files to store and frequently access on a monthly basis. You have other options to go with instead of upgrading the internal hard drive. Ever thought of just acquiring an external hard drive to support your PS4 Slim hard drive? It can be the best solution for your problem. Just think rightly and gauge your needs wisely then you’ll surely determine which storage solution suits you best.